Located at the Ruoholahti metro station (which was opened in 1993), the work begins at the head of the escalators and continues onto the platforms. 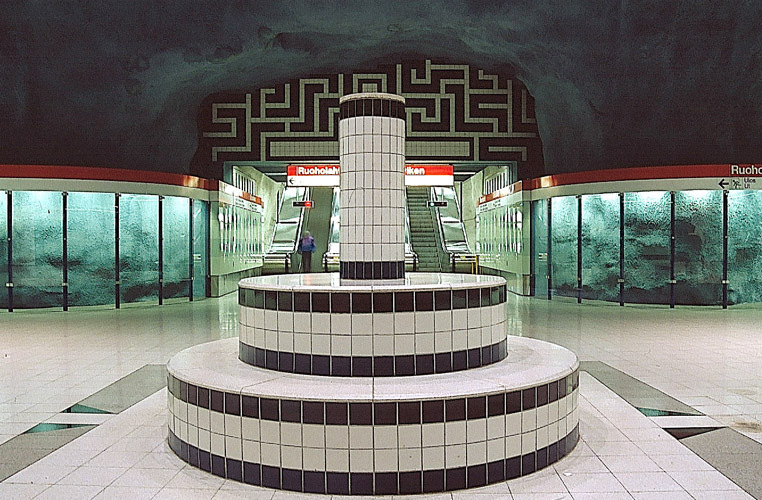 Juhana Blomstedt's installation is composed of blue and white ceramic tiles. The cool blue-white tiles reflect the maritime location and ambience of the Ruoholahti harbour district and the stepped round structure on the platform is characteristic of a Medieval piazza.